I’ve been sick most of this week and have been in bed sketching. 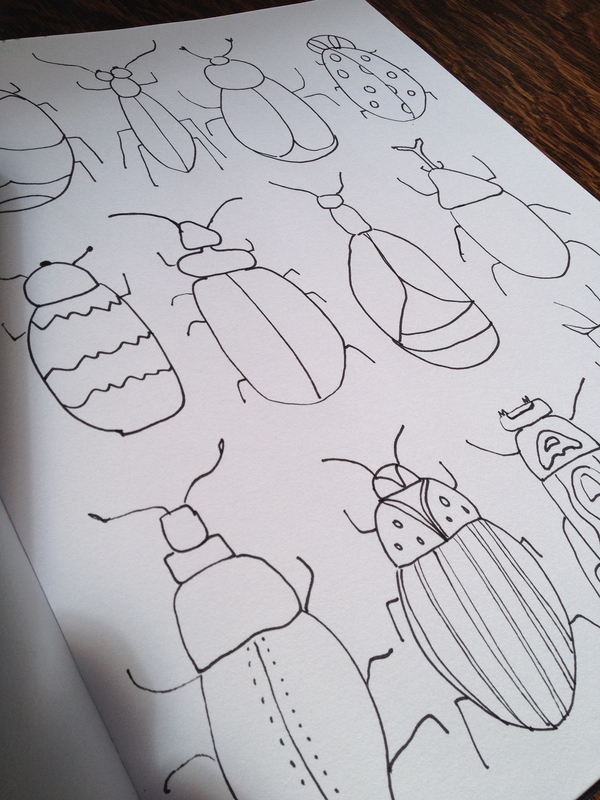 Take a peek at what I’ve been drawing. 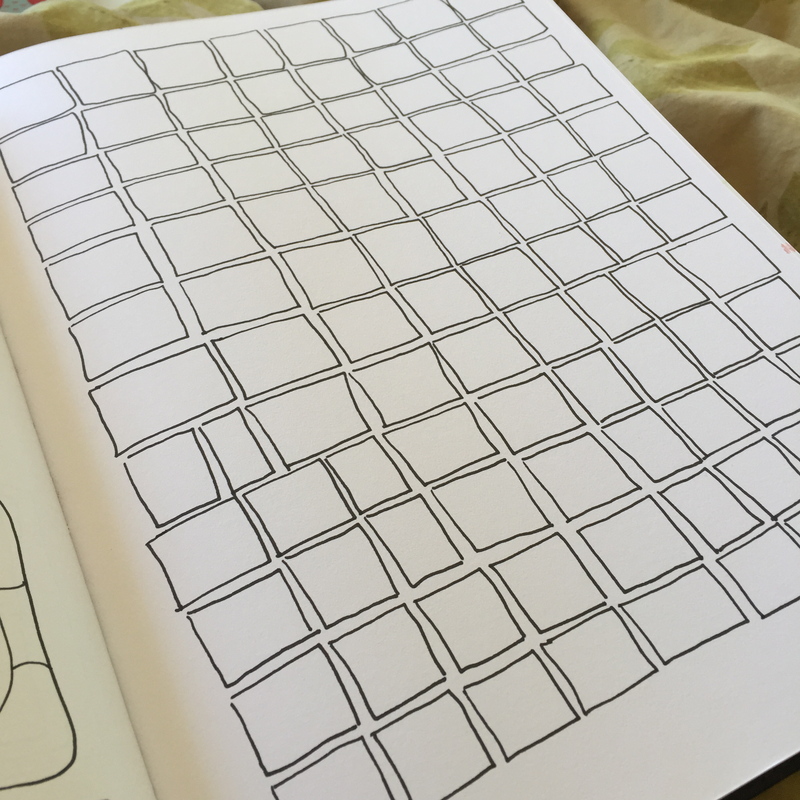 In the next couple weeks, you’ll see these turned into patterns. 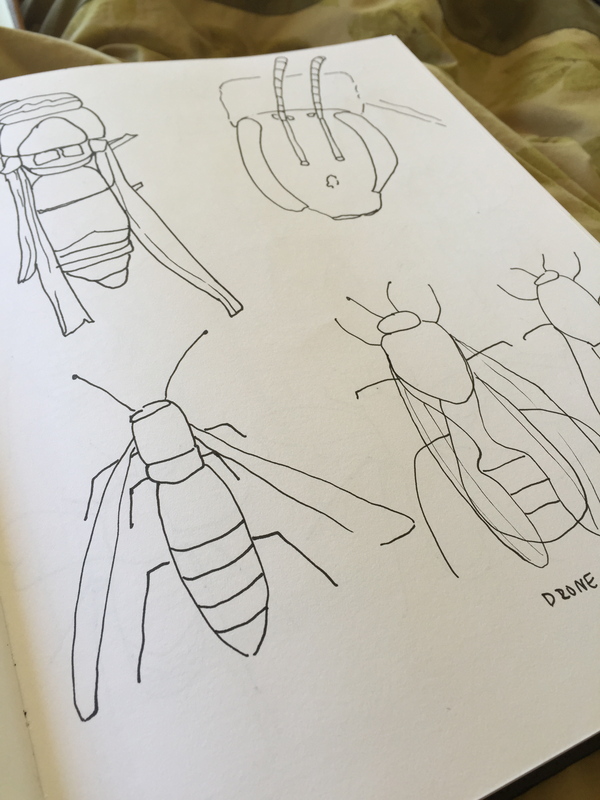 I’ve been obsessed with spring life and have been drawing bees, butterflies and beetles. Last weekend it rained and was a chilly 60 degrees. 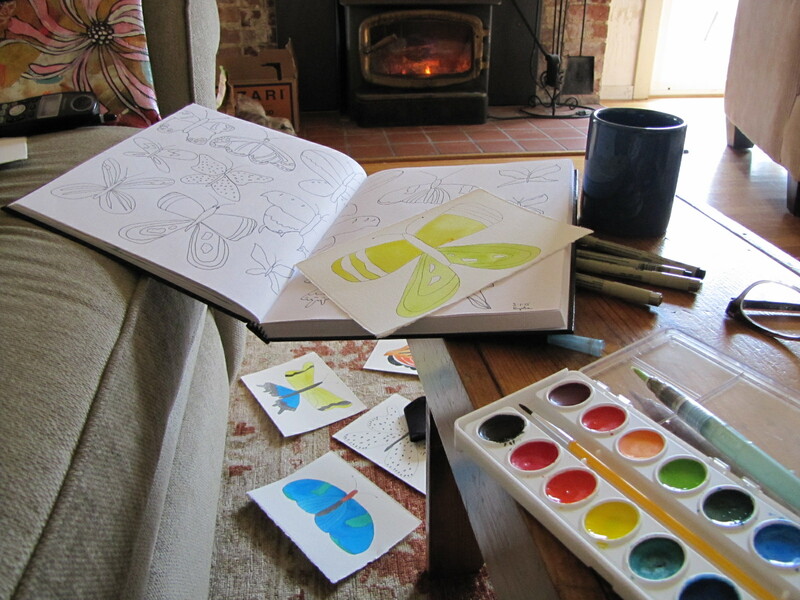 I had a fire and painted. 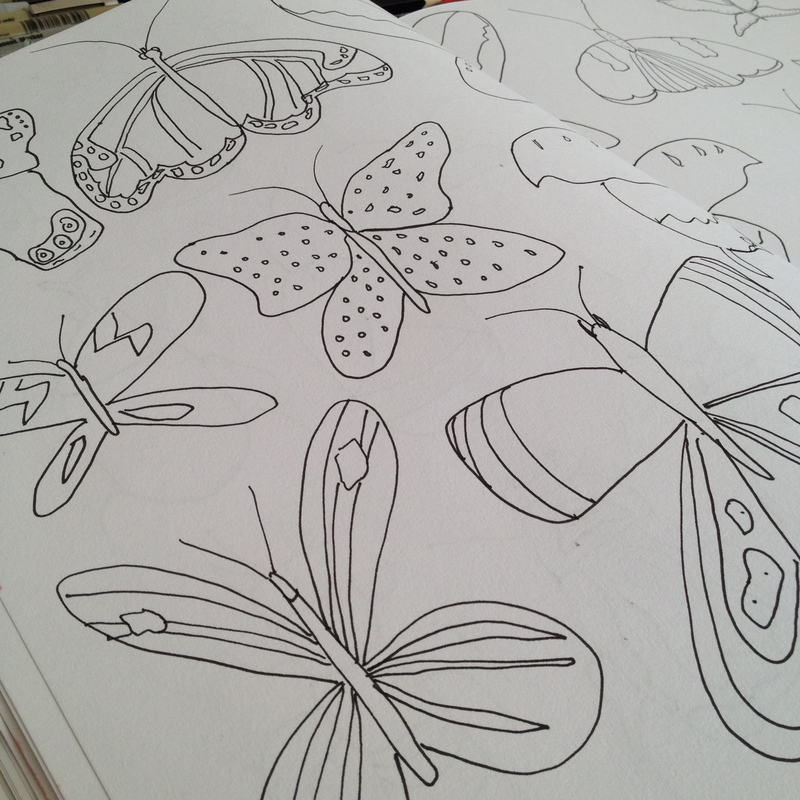 Here are some of my butterfly sketches. Here are the watercolor versions. Here is the pattern I made of all of them. 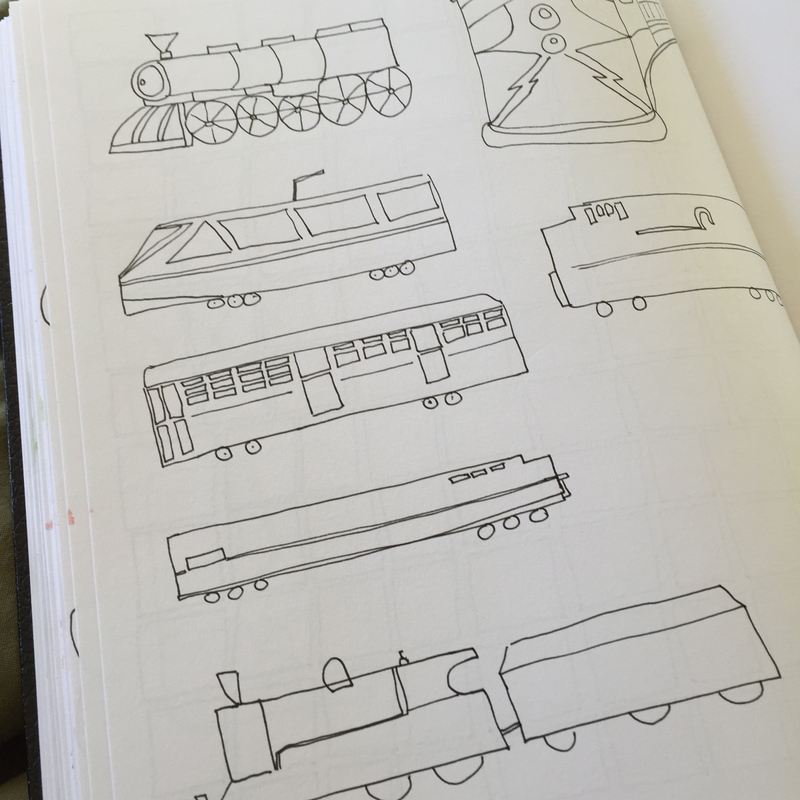 Thought I would share some views of my sketchbook this week. 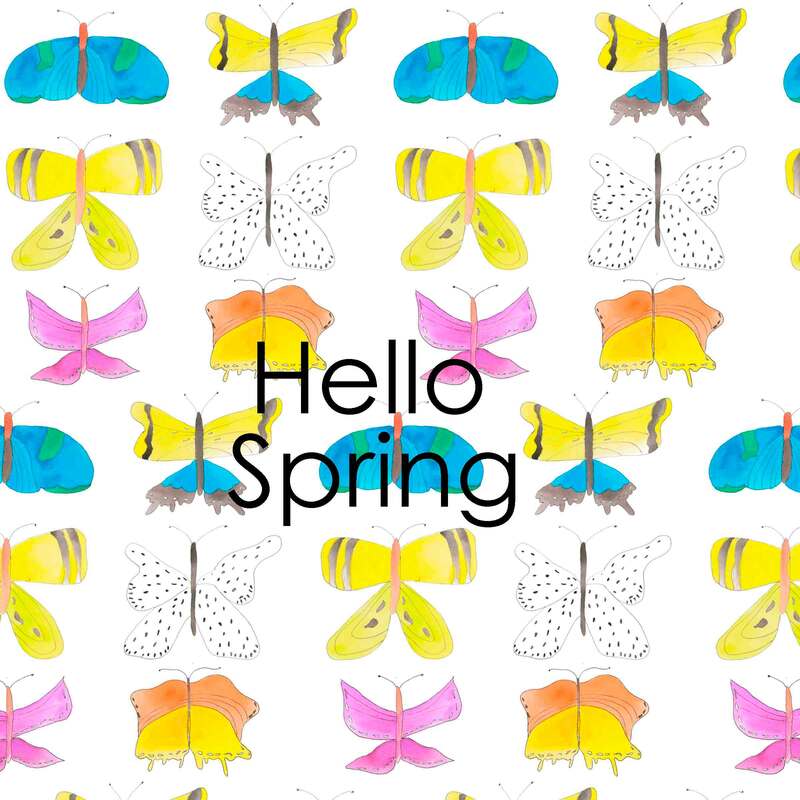 Spring has sprung and I’ve been drawing bugs, flowers, and butterflies. The above sketch turned into the individual watercolor pieces below. I’ve been working with them in patterns too. More to come on that next week. Hi! It’s raining here in Santa Cruz. An event that has only happened three times since December. So, it’s quite exciting. Through an old friend from Mt. 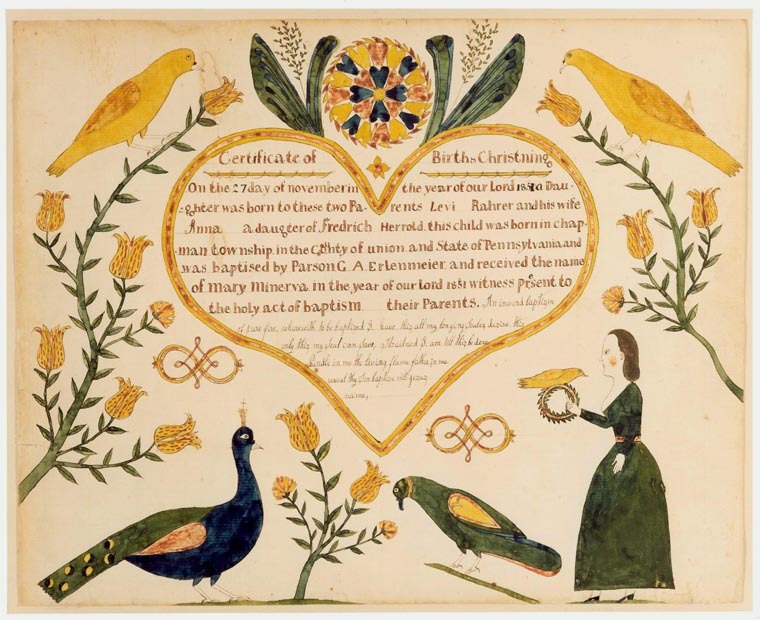 Gretna, Pennsylvania, I’ve discovered fraktur art. I’m super excited to try some of this in the coming weeks. What do you think? It fits well with my hex signs. 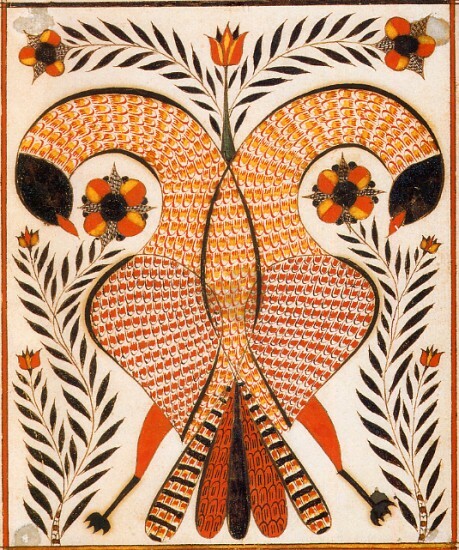 Fraktur art, like hex signs, is also a type of Pennsylvania Dutch, German folk art. Frakturs were made for special occasions in life like births, marriages, deaths, etc. The pieces originated and were common in Pennsylvania, where I grew up. Frakturs are usually ink and watercolor and contain beautiful fonts. 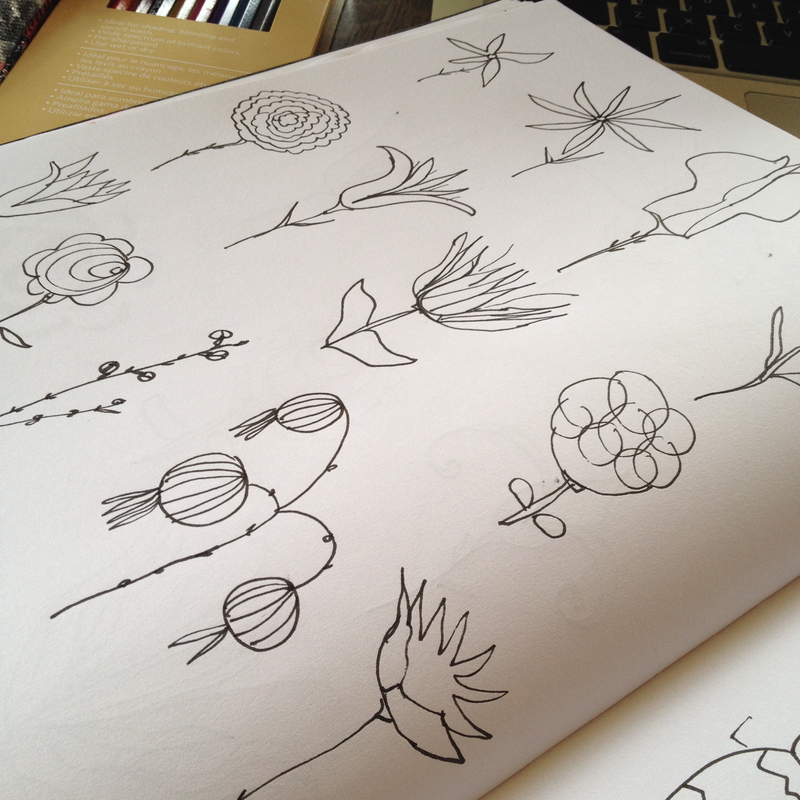 I’m particularly interested in the motifs for patterns. Here is a typical fraktur. I love this fraktur for a motif for a repeating pattern. 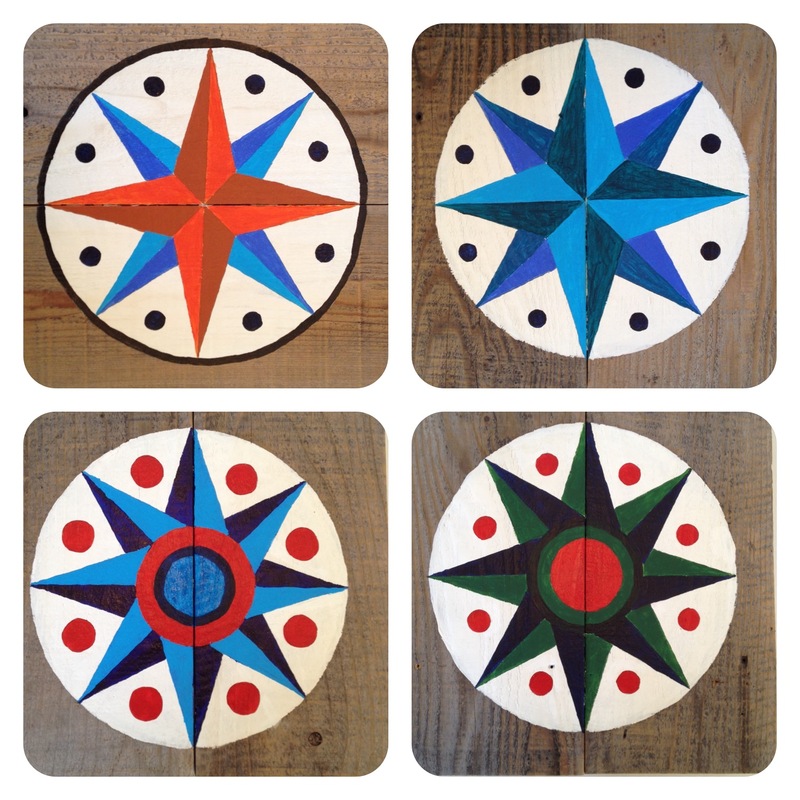 Talking about Pennsylvania Dutch folk art, here is the completed collection of hex signs and am looking for a local Santa Cruz store to feature them for the First Friday Art Tour in Santa Cruz. They are also for sale in my etsy shop. The hex signs are on square, 15 x 15 reclaimed fence board. Here is some of the pieces in the collection. I’ve also been creating patterns with them in Photoshop. 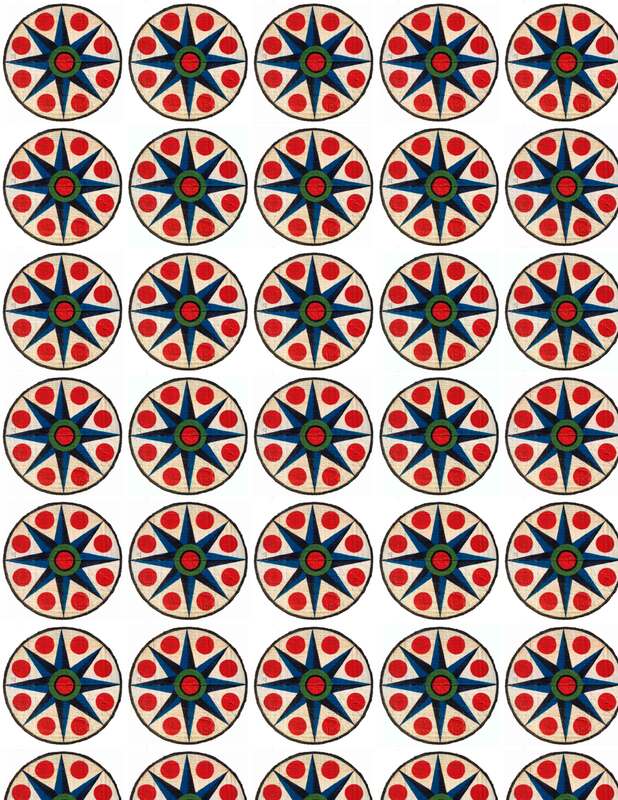 What could you envision these patterns on laptop skins. shower curtains, tea towels? Let me know and have a GREAT week. 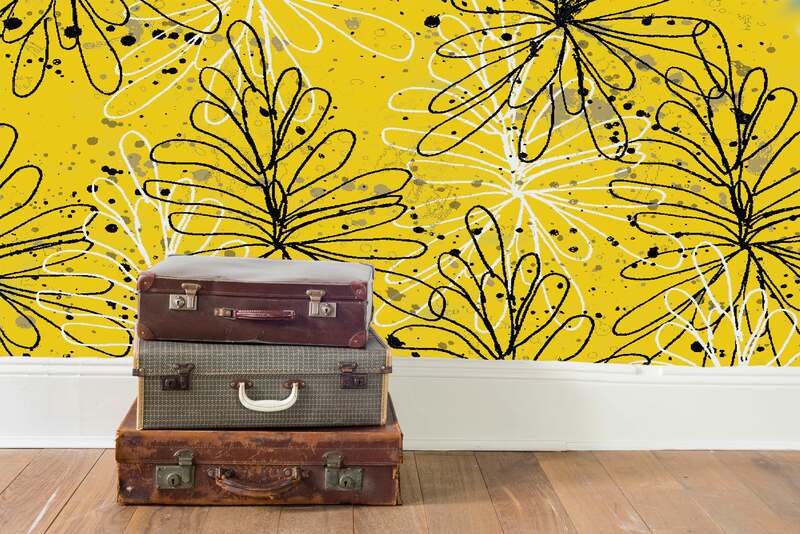 A while back I shared that I was taking Module 2, Creating Your Professional Identity a pattern design class from the Art and Business of Surface Design with Rachel Taylor and Beth Kempton. This week I’m going to share some of the work that my fellow students are producing. The first student is Cathy Westrell Nordstrom from Studio Lila Form. 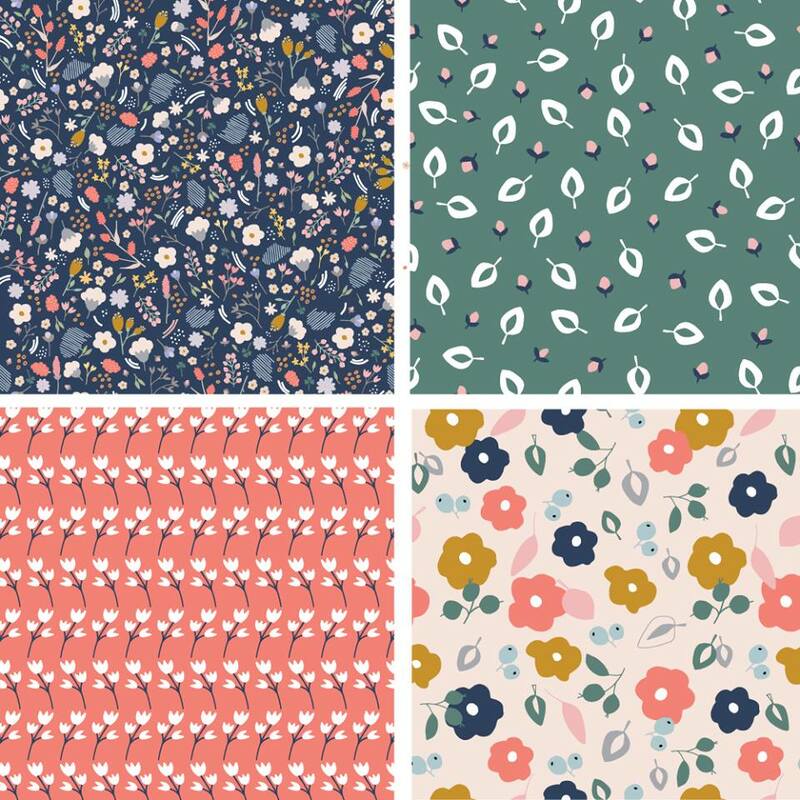 She is a surface pattern and graphic designer. 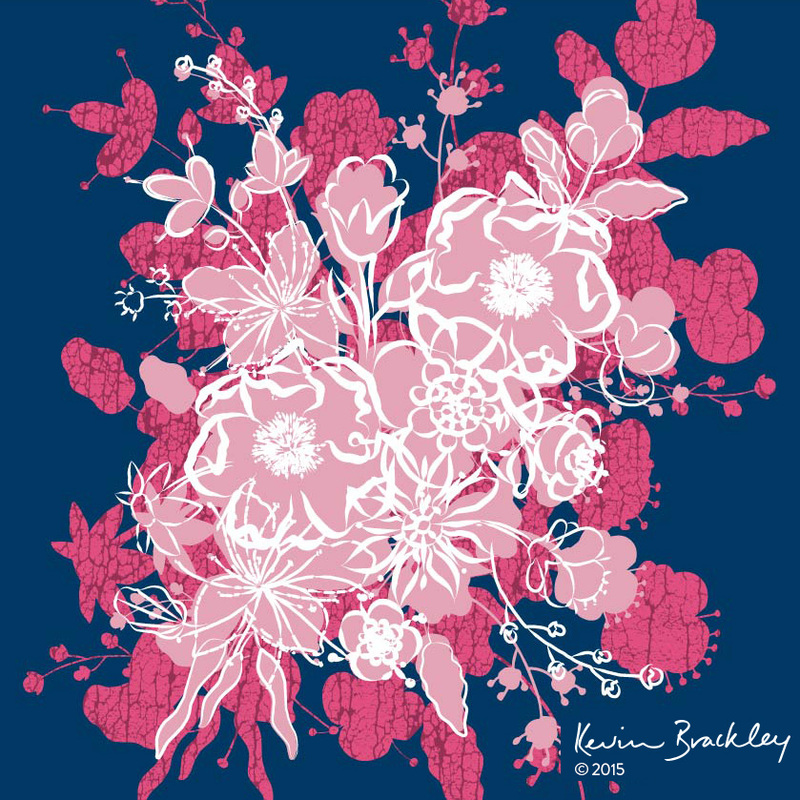 She is inspired by nature, abstract shapes and all things flora and fauna. 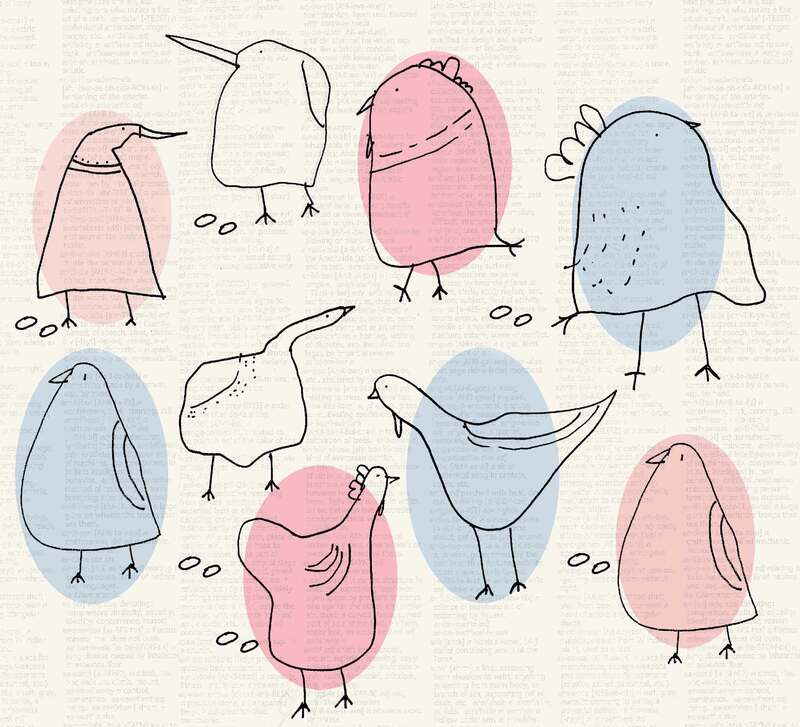 She hand draws her patterns before scanning the drawings and adding color and texture in Illustrator. 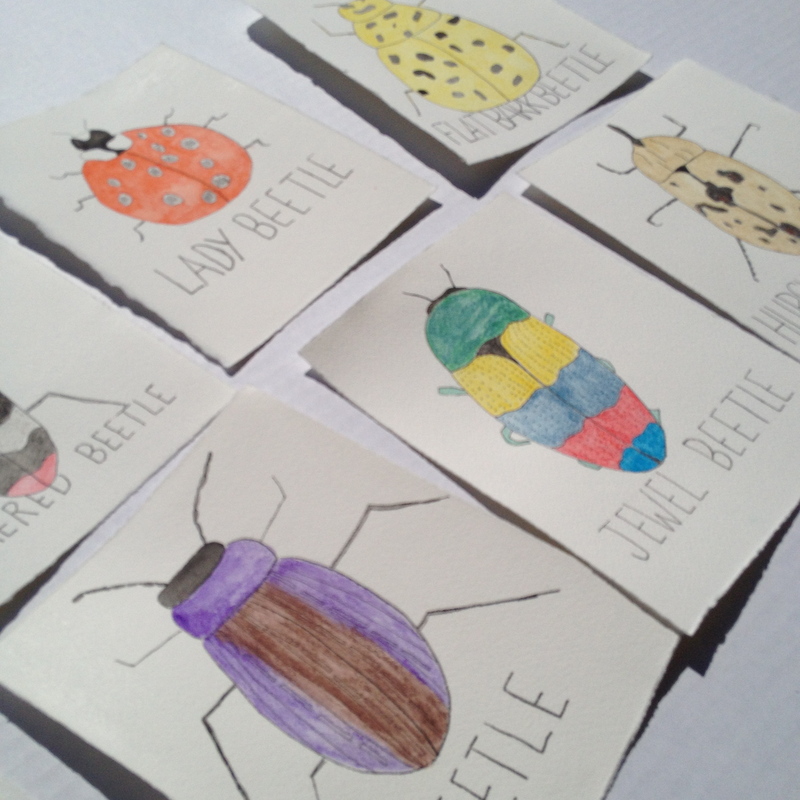 Her patterns are lovely and her use of color is fantastic. Check out her work on her website. 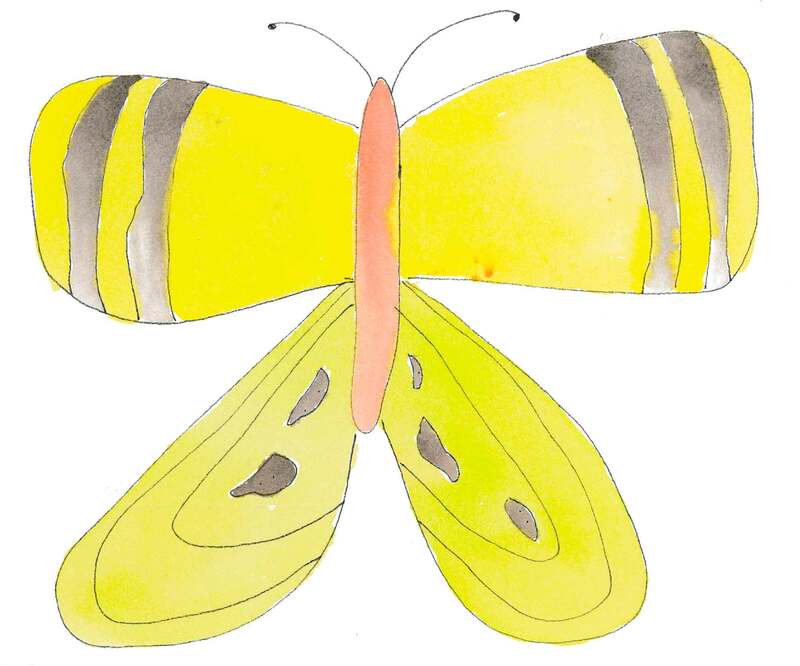 Kevin Brackley, from Sydney Australia also has some beautiful patterns. Kevin is the most knowledgeable person. During the class he was super helpful in the online community. His patterns are intricate. 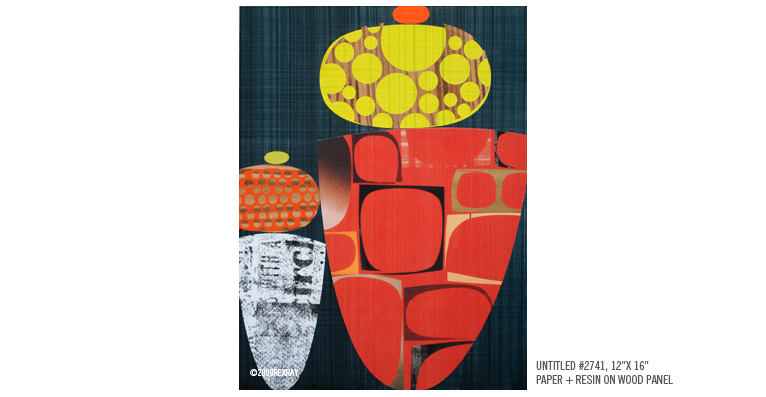 I Love the use of different sized motifs and his use of color. 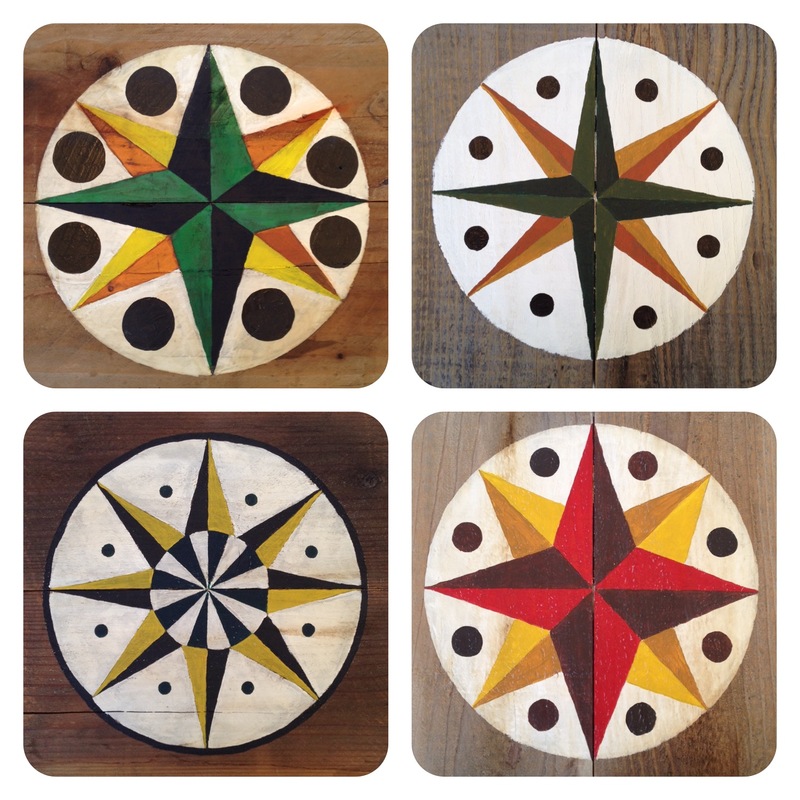 Here is a beautiful pattern from the lovely Emma McGowan. 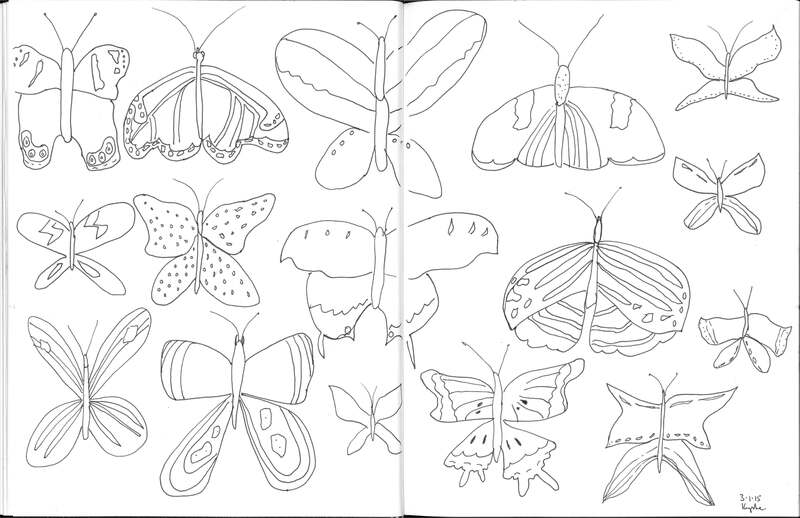 Hope you enjoyed these lovely patterns. Have a great week. One of my favorite artists died this week, Rex Ray. 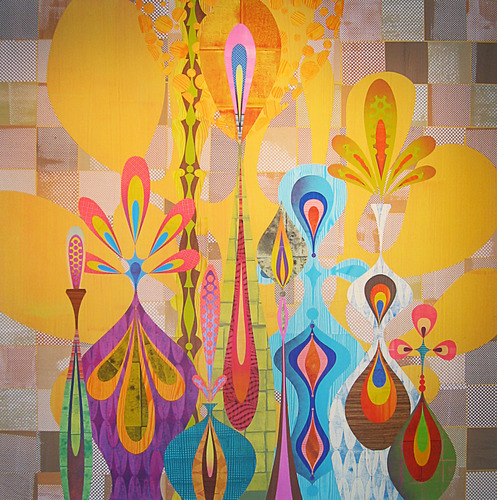 He lived in San Francisco and was known for his 1960s-inspired paintings, which were often psychedelic and filled with bright colors. Ray also designed concert posters for the Rolling Stones, U2, REM, and Radiohead. 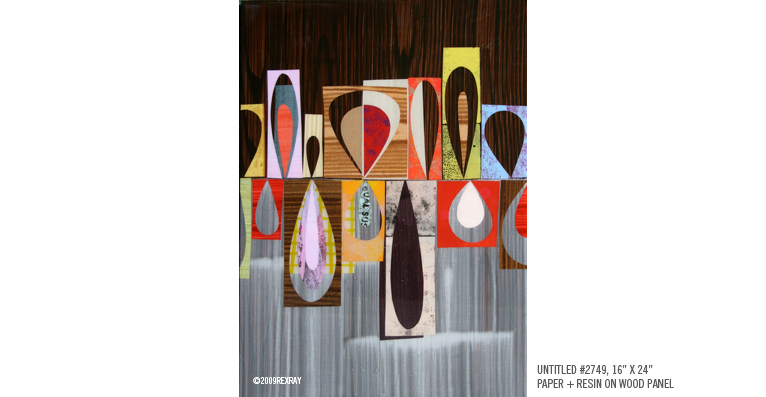 Here are some of my favorite pieces of art including his wood panels. 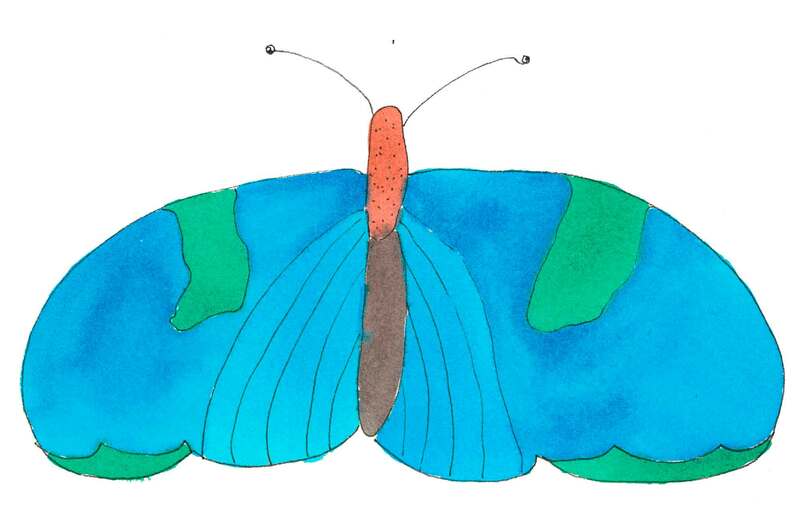 You can find more of his art on his website. Ray had shown work at The San Francisco Museum of Modern Art, University Art Museum in Berkeley, San Jose Museum of Modern Art, The Crocker Museum in Sacramento, the Museum of Contemporary Art, Denver, and Cheryl Haines Gallery. 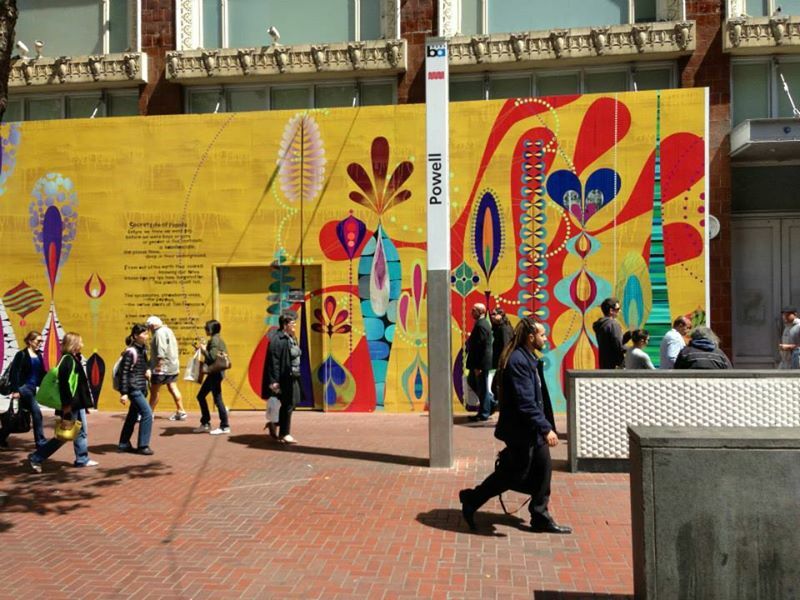 In 2013, he was commissioned to do a mural for the barricade covering the construction of the new Levi’s flagship store on Market Street in San Francisco. I just love his use of bright colors and that he did collage too. Photo from Rex Ray’s FaceBook. You will be missed Rex. 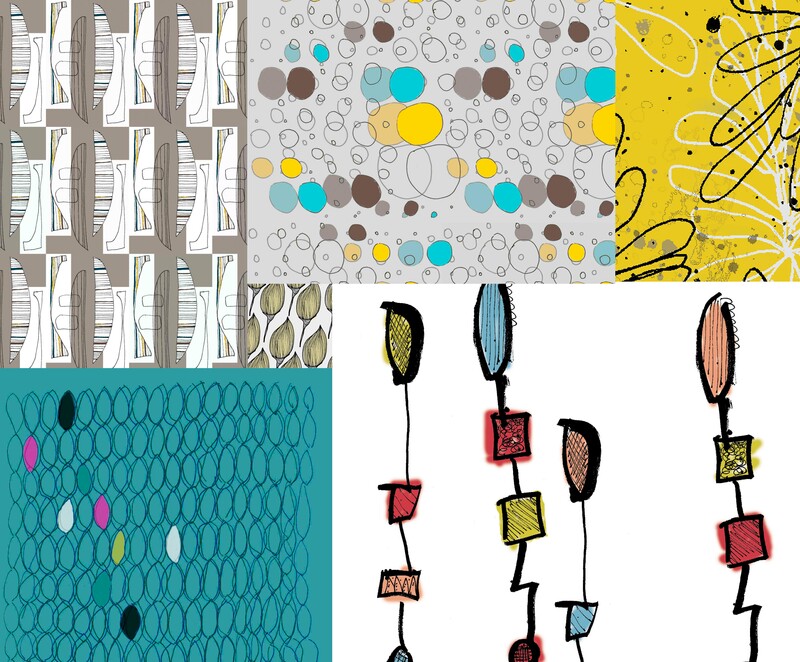 Currently in week four of Module 2, Creating Your Professional Identity a pattern design class from the Art and Business of Surface Design with Rachel Taylor and Beth Kempton. I’m starting to feel sad that this class will be over next week. This week we’ve been learning about branding and typography. It’s been fun to think about logos, my style of patterns and incorporating type. Below are some attempts to group my patterns to see if I can begin to describe my style. 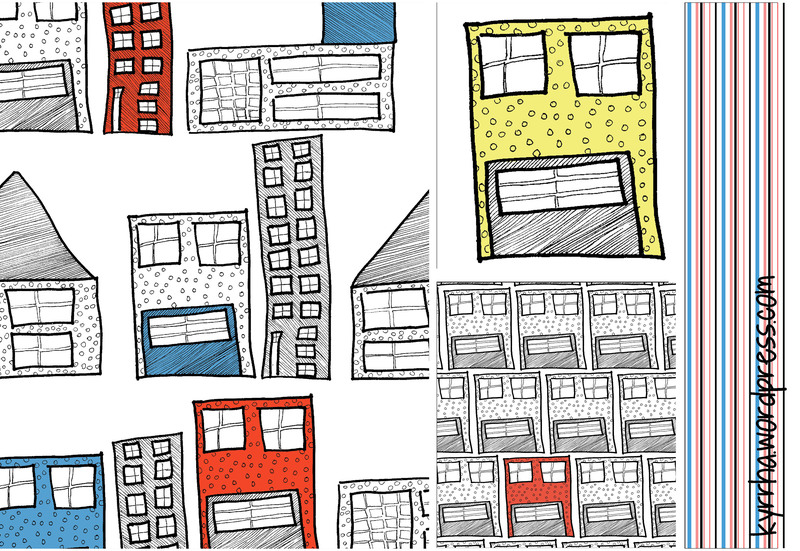 I’m thinking that my patterns can best be described as abstract, colorful, hand drawn, and fun. What do you think? 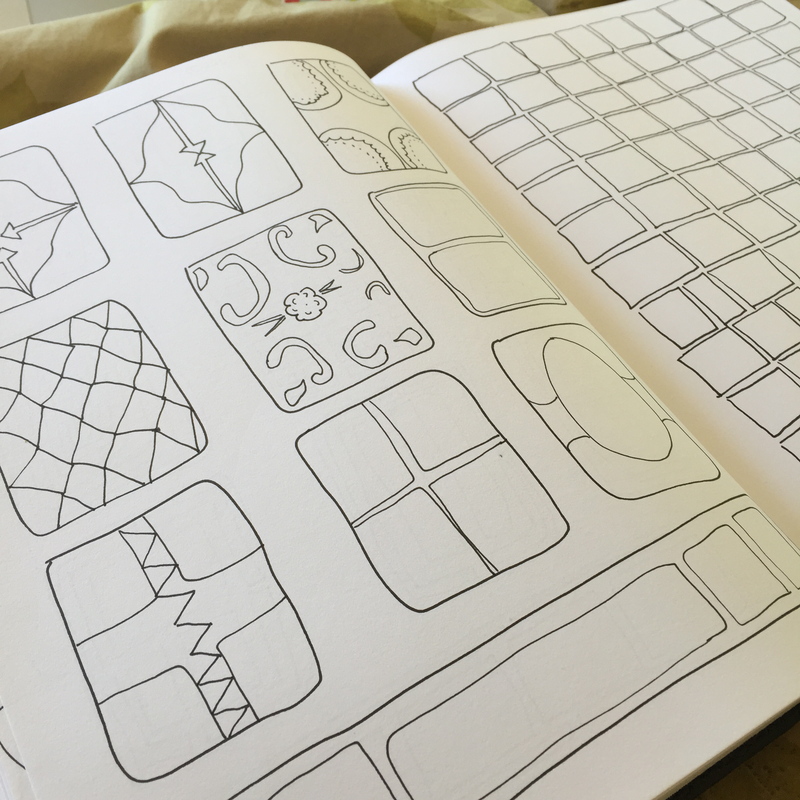 What do you feel when you view my patterns? Let me know below in my comments. 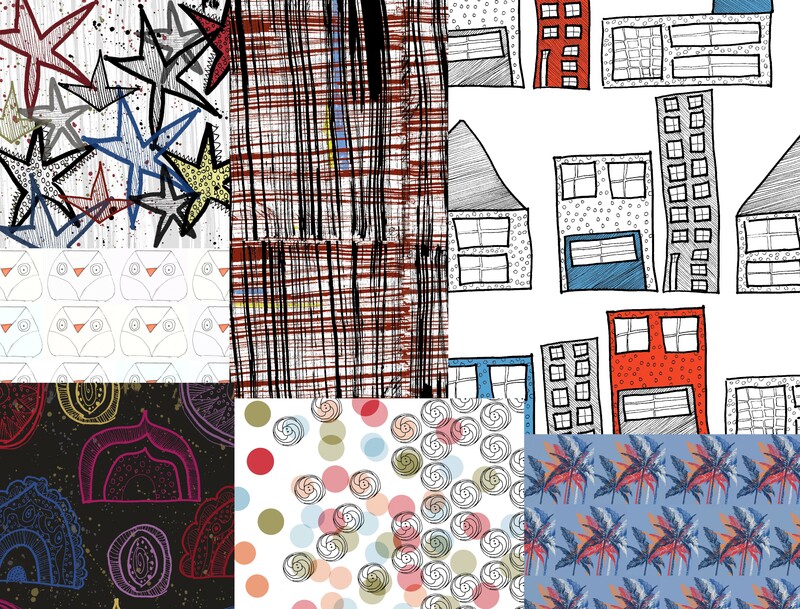 Currently in week three of Module 2, Creating Your Professional Identity a pattern design class from the Art and Business of Surface Design with Rachel Taylor and Beth Kempton. We’ve been learning about trends and why it’s important to keep your eye on the pulse of trend information. Learning about some fabulous resources like WGSN. 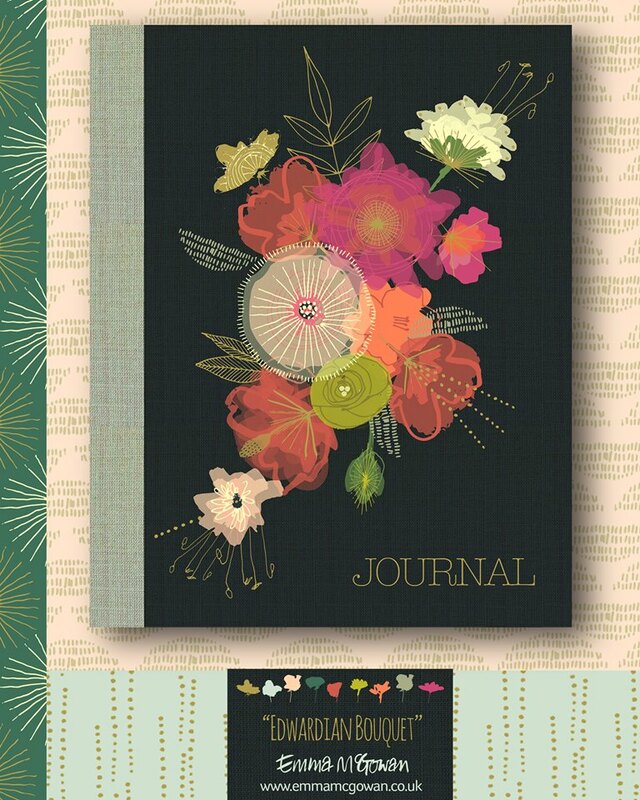 Would love to some day visit a tradeshows like Surtex, Top Drawer, or Pulse. I also learned about tints and had fun with some circles in Ai. 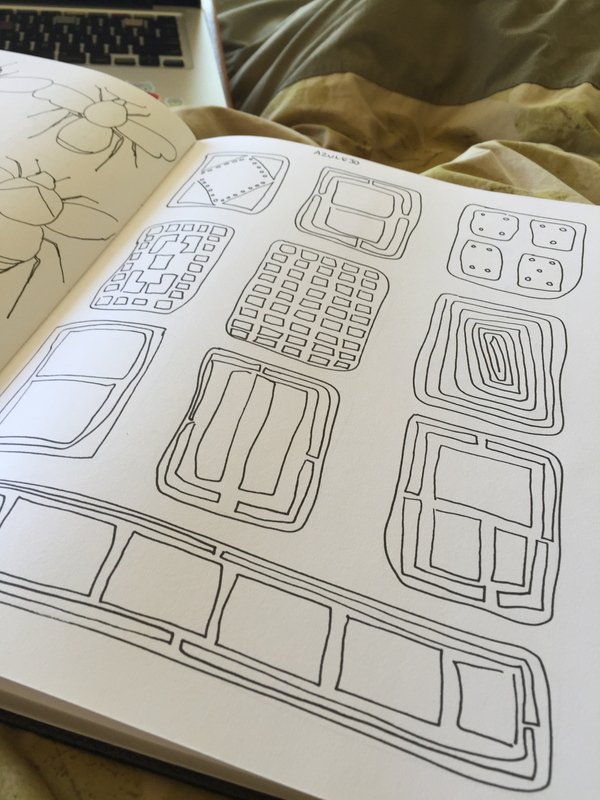 I just started taking Module 2, Creating Your Professional Identity a Pattern Design class from the Art and Business of Surface Design with Rachel Taylor and Beth Kempton. The class has been super fun and it is packed with information. The first week was all about collections. I learned the difference between a collection and coordinates. 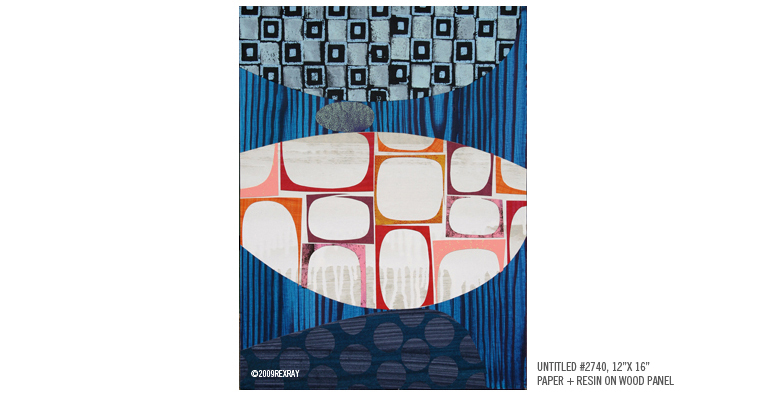 A collection is several main patterns that are held together in some cohesive way. For example you could have a collection that has the same set of colors. 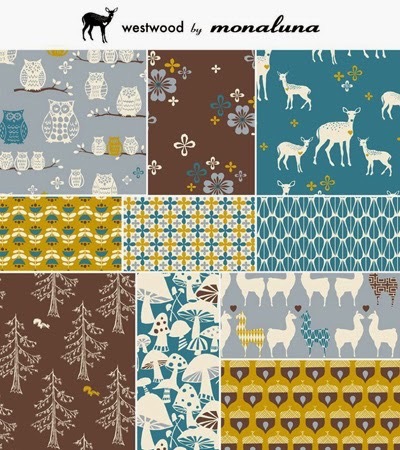 Below is a lovely collection by monaluna. I’m looking forward to creating collections. Coordinates usually have one main pattern and several elements or motifs of that pattern blown out. I’ve been creating coordinates. Here is an example of one of my coordinates. The main pattern is on the far left. The others are coordinates along with stripes. I also learned how to use the masking tool in PhotoShop and am now able to put my designs on product mock ups. It’s pretty fun and addictive.